The purpose of this unit is to provide teachers with some primary sources for the study of coalmining in Northumberland and Durham. There is a vast amount of material on this subject available primarily at the Mining Institute but also at the records offices and libraries throughout the region. Therefore, a radical selection has been necessary. 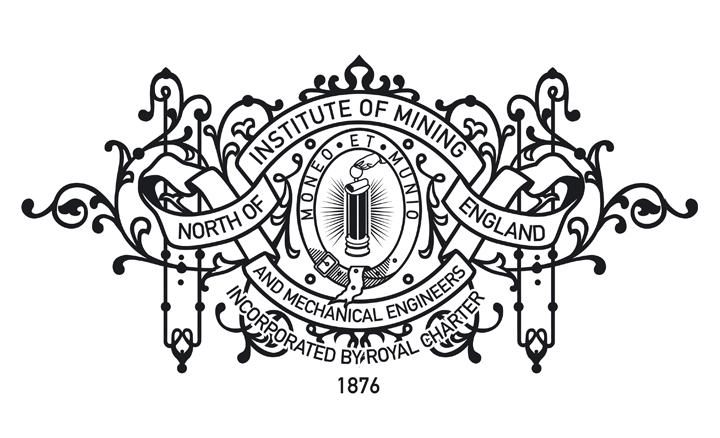 The Archive Teaching Unit is intended to complement the publication ‘A Celebration of our Mining Heritage’ which is available from the Mining Institute for £15. This book examines in detail the development of mining in one royalty but in so doing it provides an example of a process which was common to other royalties throughout the coalfield and therefore the book has a much wider appeal. It is hoped that students using the archive teaching unit will be able to acquire some understanding of the evidence which has enabled the history of Heaton Royalty to be written; and that this will encourage them to explore the history of their own area of the coalfield. The comprehensive collection of maps available in the unit, together with those available on-line elsewhere, provides a starting point for the study of other royalties. Because the teaching unit will be used by a wide range of teachers and other members of the public for different purposes, no attempt has been made to determine how the documents are to be used in a teaching situation. This is left to the professionalism of the teachers themselves. The compilation of this unit has only been possible because of the support of Jennifer Hillyard and her team of volunteers at the Mining Institute. I am particularly indebted to Alistair Brook whose patience and dedication is remarkable. Shaft – vertical entrance into a mine. Level – horizontal entrance into a mine. In bye – away from the shaft. Out bye – towards the shaft. Fire engine – Newcomen pumping engine. Seam – a band of coal varying in thickness from a few inches to several feet. Headways – passages driven across the grain of the coal to open up the mine. Pillar – a rectangular block of coal generally about 10 yards by 20 yards left to support the roof. Bord – where the miner hewed the coal working with the grain. Wall – passage linking boards cut across the grain. Jenkin – short passage through a bord. Jud – the base of the coal which was undercut by the hewer. Thrill – soft floor of the coal seam. Goaf – waste or worked out area of the mine. Inclined Plane – railway so arranged that the weight of the loaded waggons ran downhill. Corf – wicker basket for carrying coals. Cage – introduced in 1840 as an improved method of moving men and materials in and out of the mine. Viewer – agent in charge of all aspects of operating the mine. Deputy – assistant responsible for a district of the mine. Hewer – man who extracted the coal from the seam. Half marrow – an assistant to the putter. Foal – also an assistant to the putter. Trapper – younger boys opening and closing a door to protect the ventilation system while tubs passed. Onsetter – man responsible for setting men and materials into the cage. Banksman – man in charge of the operations at the surface. Cavil – working place allotted to men in the pit as a result of a lottery. Wain – cart drawn by two oxen and two horses carrying 17.5 cwt. Waggonway – railway for transporting coal from the pit to the staith. Gate – the journey which a waggonman made from the pit to the staith. Dandy cart – special waggon for carrying horses on the downhill sections of the waggonway. Main way – superior built section of the waggonway used for loaded waggons. Bye way – inferior section generally used for empty waggons. Keel – vessel used to ferry coal down river to the sea-going ships. Capacity eight keels of 21 tons. Collier – sea-going ship generally moored at Shields. Royalty – mineral rights in an area of land. Mineral rights – ownership of the minerals beneath the soil. Surface rights – ownership of the surface. Wayleave – grant of passage through an estate. Newcastle Chaldron – measure of coal equal to 53 cwts. London Chaldron – the London measure was 28 cwts. Score – standard number of tubs or corves of coal upon which the hewers wages were paid which varied from 20 to 26 between areas of the coalfield.